Why should you care about web apps? If you are the owner of a traditional e-commerce website and are thinking about building native iOS and/or Android app for your store, a web app could be a better alternative. New generation web apps (called Progressive Web Apps) are feature-packed e-commerce websites with functionality you would normally expect from native mobile apps. 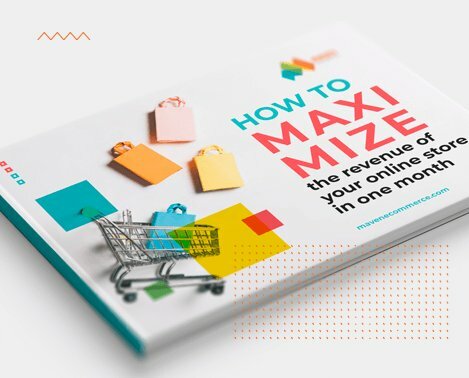 Some e-tailers already use progressive apps, so should you use them, and if so, with or instead of traditional mobile apps? Let’s clarify the advantages and drawbacks for each of these e-commerce approaches. At 10 years after their launch, making native mobile apps is far too complex, especially for newbies. 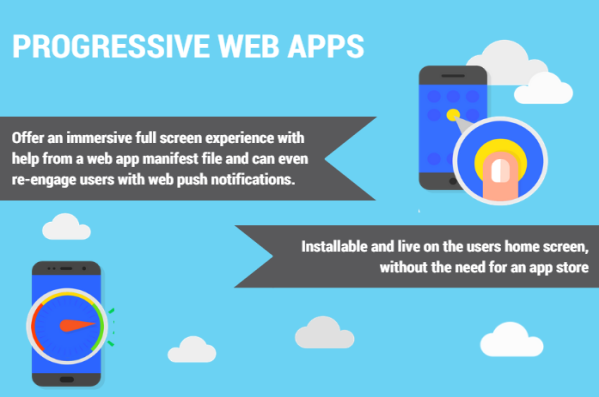 While apps have been evolving within their walled garden outside of what we think as the internet, web browsers have been advancing, with progressive web applications becoming possible sometime in 2015. Since, these web apps have been getting more popular as they are relatively easy to make, do not require an additional step of downloading while acting and feeling like mobile apps. Some of these progressive web apps already work offline, just like mobile apps. Imagine you’re a traditional online merchant wanting to be where your customer is, meaning on their mobile device. Would you get a native app or a mobile website version? Each path requires its own strategy, in addition to technical and content expertise. 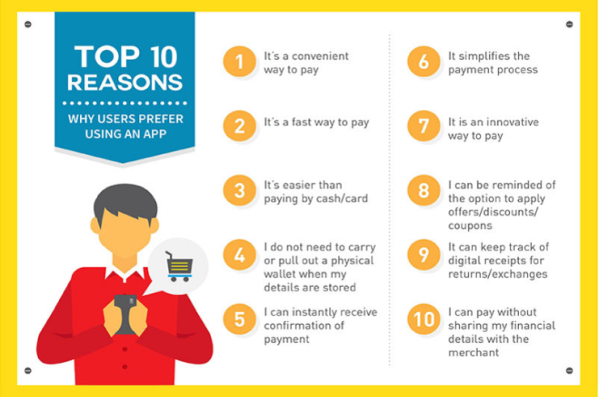 Mobile apps are still very popular with consumers. The key advantage for e-tailers is that apps allow unlimited and instant push notifications, ideal for announcing discounts, sales notifications, new product announcements and relevant news directly to the prospective customer. Native apps achieve up to three times better CTR for an app notification compared to an email with a link to a website. Which e-commerce player wouldn’t appreciate such a branding tool, especially since app notifications are not perceived as advertisement by end users? With a reported loss of 20% of users for each step after the first contact with the app , the number of actual users will be much less than the number of app downloads. Until recently, traditional web retailers relied on email marketing to guided customers towards a purchase, at the risk of recipients unsubscribing from the newsletter or the company emails being marked as spam. With progressive web apps, the “push notification” functionality is also available for e-commerce websites, delivering the performance and CTR of native apps with lower complexity and cost. Another one of a progressive web application’s advantages is the reduction in sales funnel length for users and the absence of complications involved in maintaining a mobile application for the e-commerce retailers. Progressive Web Apps have arrived not alone, but building upon a greater web ecosystem, plugins and community. They are comparatively easy to deploy and maintain, as they don’t suffer from version fragmentation like the native apps. In a nutshell, progressive web apps are ideal for e-commerce store owners seeking app-like performance and conversions while avoiding the downsides of deployment and long term support. If you are familiar with all the challenges of native mobile app development you will appreciate that a website can be built in less time (therefore, it is released cheaper and faster), without the need of support and maintenance for backwards compatibility, as web app users will run the same version of a website’s code. Progressive Web Applications – The End of Native Apps? 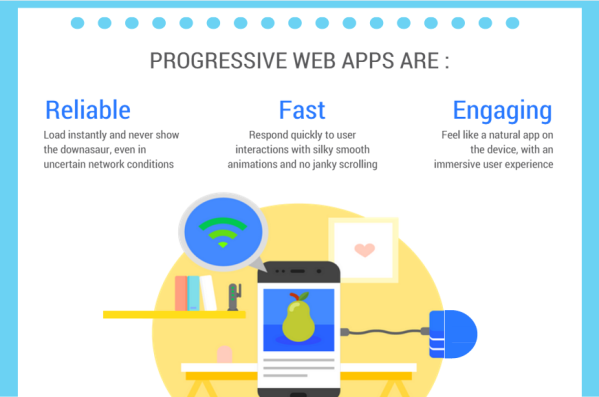 When is progressive web app a clear winner over a traditional native mobile app? As native application development is often considered for the same use cases as a progressive web app, the choice almost completely depends on the offline functionality. For e-commerce websites that already have application-like UI, applying the concepts of progressive web apps will only make them better. However, when it comes to offline features, consider that without internet access users won’t not have access to the back button. Obviously, even a native app will not be able to process an e-commerce purchase in the offline mode, but the offline version of a progressive web app will need to have an updated caching architecture so that users are able to browse and interact with web content even in the offline mode. This is where choosing a competent e-commerce web developer for creating a progressive web app is of a great importance. How can an e-commerce store owner tell apart a competent progressive web app developer from just an average web developer who is trying to ride the trend? To summarize, a progressive web app should offer the best of the two worlds: that of the website and also the experience of using a native app. Are you considering offering your customers native app-like experience by optimizing your Magento e-commerce store? Have developers at MavenEcommerce help you explore your options! Good reminder that app in offline mode has limited usability and features, so this should be considered when thinking about the user experience. Good remark, Nick. But today technologies allow you create even offline web apps, thanks to varieties of HTML5 frameworks.